As promised, here is one of the many giveaways I have planned from the RT Convention. 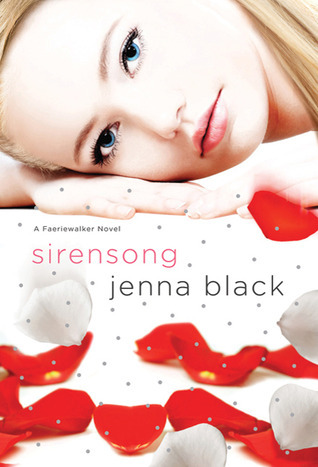 Enter for your chance to win an ARC of The Selection, an ARC of The Temptation, an ARC of Destined (Wings #4), or a paperback of Sirensong (Faeriewalker #3). Thanks everyone! Hope to see you guys again tomorrow when I review The Golden Lily :). Definitely looking forward to The Selection and The Temptation! Thanks for the giveaway! The Selection. There's been so much hype about it, I can't wait to read about it and see for myself. I'm most looking forward to The Selection because I've heard so many good things about it. Thanks for the giveaway! The Selection, mostly because the CW is filming a pilot based on the book and I'm curious to see how that turns out. For a second, I was so excited about Sirensong. Then I realized it was the wrong series. -sigh- But everything stills sounds good. ^^ Thanks, Christina. I'm looking forward to The Selection. I've heard so many good things about it. The Selection! 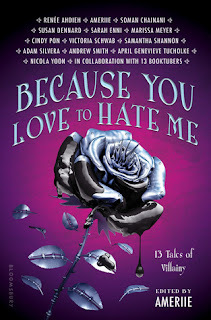 I love the cover, I've heard both good and bads things but I'm intrigued by the premise and so don't care about the bad, and I havn't heard of one of the other books nor started two of the other series yet. I'm most looking forward to The Selection, it looks so good! Can't wait! Want to read it because I've heard good things about it. The selection. I have to read it. The Selection sounds really good. I'm really looking forward to The Selection. 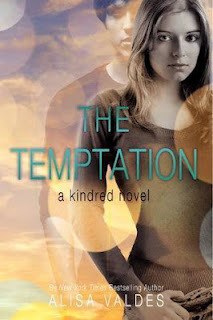 The cover does not just look good but the plot as well. A must read. Thanks for the giveway, I'd really like to win The Selection because I just hear so much about this book and I can't wait to read. Really looking forward to The Selection because I've heard so much good things about it!! thanks for the giveaway! They all sound fantastic I would happy with any of them! The Selection! I keep hearing such great things - want to see what all the fuss is about! 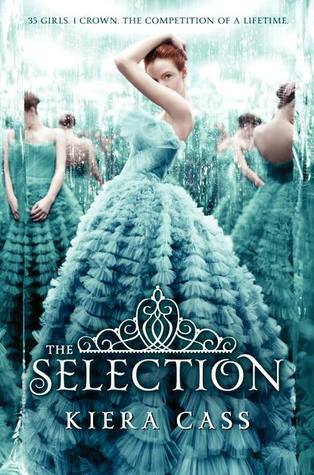 I really really really want to read The Selection. The cover is stunning. Love. Can't wait to read it. The Selection sounds amazing from the first few chapters i've read online and i've followed the Wings series from the beginning. 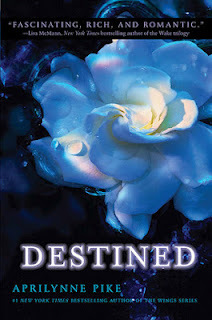 Looking forward to reading Destined because I've read the first 3 books in the series and love it! The Selection, because there's been so much hype for it and because it will (might?) be turned into a tv series. Thanks for the awesome giveaway. I am mist looking forward to The Selection. There has been so much talk about it that I am really excited. I'm really looking forward to the Selection and Destined. I am a huge fan of the bachelor and I heard the Selection is a book version of the show. I have read the whole series by Aprilynne Pike and I can't wait for the ending!!! Im most looking forward to Destined because I want to see what happens! I'd like to win Destined. Thanks for the giveaway! The Selection. I have heard some things about it and want to make my own opinion. The Selection!!! COVER LOVEEE! I'm looking forward to read this book! The Selection! Ahh, thanks so much for the giveaway! I want The Selection because I think the story sound interesting. Thank you. I'm excited for The Selection by Kiera Cass. I heard the book is brilliant.